Eat Play Love: Happy Birthday! Happy Birthday, Maya!! Can't believe she's already three. Tachi was here over the weekend for an early celebration. 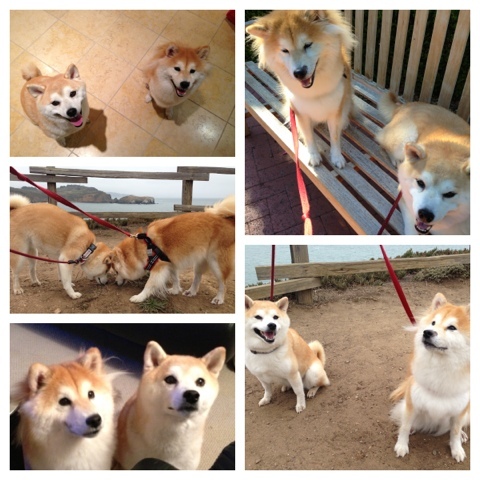 They had a great time zooming, hiking and begging for treats. We went to Zoom Room tonight and Maya graduated from Agility 2. She'll be starting Agility 3 next week! 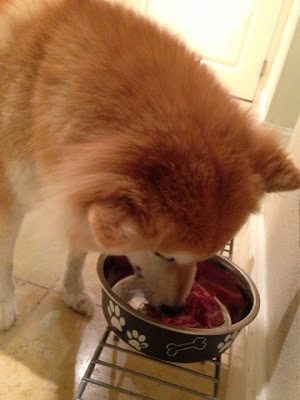 When we got home, her daddy brought back some New York Steak for dinner. Ah, she swallowed the whole thing without even chewing. I guess that's how she enjoys a good meal. Maya decided she doesn't need a new toy for birthday and donated to Bella instead. Wish Bella a speedy recovery!